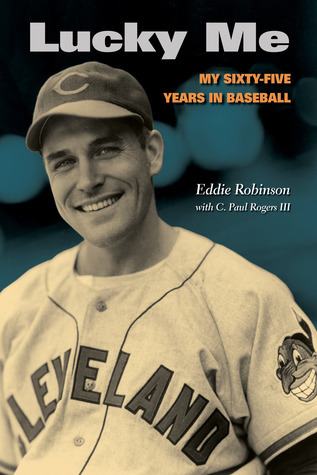 Eddie Robinson, the 90-year-old All-Star first baseman who played for seven franchises during his 13 year major league career, saw one of his life-long crusades come to fruition with last week's agreement to extend pension payments to the group of MLB alumni that fell into the pension gap between 1947-1979. Robinson appeared in New York for the announcement of payments to the MLB veterans. He spoke from his Fort Worth, Texas home about the excitement of his 20-year journey to get benefits for these retirees. "I’m getting a pension and I’m happy, but it just didn’t seem fair," Robinson said. "I was in the group of the first player representatives that was formed, so I’ve had a great interest in what’s happened to players over the years, so when they dropped it back, I just didn’t think that was fair and I began to crusade to get something done about it." Fueled by recent media interest from Douglas Gladstone's book, "A Bitter Cup of Coffee," which spotlights the plight of many of the retirees caught in this pension gap, Major League Baseball was more receptive of a meeting with Robinson's group of alumni. A meeting at the MLB offices in New York City helped to make their cause clearer to baseball's top brass. "Our services committee of the MLB players alumni became more active," he said. "We got a couple of players on our committee who were lacking in years to get a pension and they added a lot of exuberance and get go to our committee. We had a meeting in New York with Michael Weiner and Rob Manfred, and after that, I think they saw the seriousness of it and that something should be done." The lack of parity in service time needed for a pension after the 1980 agreement ate at Robinson for the past thirty years, even more so in recent time as more alumni passed away. "The last year-and-a-half it’s been a real issue with us," he said. "It was so unfair to some players. Rich Hand, he just lacked a few days of having his four years and the reason he didn’t get those days was because there was a player’s strike. That robbed him of his pension. There were guys in World War II who had a year or two in the big leagues and when they came out they were too old or couldn’t win their job back. Even though they had their years, being in the service robbed them of getting a pension." Robinson beamed with pride over the current agreement. While it isn't a true pension for those retirees, the annuity payments they will receive will not only help with their standard of living, but does something greater by validating their time as a major leaguer. "Of course there are all of those guys in between who weren’t recognized and they couldn’t say, ‘I’m a big leaguer, I’m getting a pension.' This really authenticates it for those guys. That’s been one of my major goals since I’ve retired and fortunately I was able to achieve it."